Nice location. Beach in walking distance. Mrs. Dimitra the owner of this small hotel is a ver friendly person. Good people. Great location. Amazing sunrise from our balcony. Rooms large, clean and functional. Hosts really friendly and always willing to help and advise on where to eat etc (which there are plenty of and all reasonably priced and within walking distance). Made to fill really welcome at all times. Pool area just what is needed in the morning and beach on your doorstep. Crete was a wonderful holiday with so much to see and do or just relax; and will be returning again; to Dimitra apartments. Best holiday in years. The owners were wonderful the accommodation was spotless and the pool area was lovely and clean.We traveled as a family of 12 and the owners couldn't do enough for us. Location was beautiful glorious sunrises.We had a wonderful fortnight. The whole family who run Dimitra apartments work very hard to make sure guests are well looked after. My family stay every year and are never disappointed. Special thank you to sisters Katerina and Leitsa. Sea view from the balcony. Advise to go shopping to local market. Good supermarket nearby. Excellent beach protected from waves. Lock in a great price for Dimitra Apartments – rated 8.6 by recent guests! Dimitra Apartments This rating is a reflection of how the property compares to the industry standard when it comes to price, facilities and services available. It's based on a self-evaluation by the property. Use this rating to help choose your stay! Just 50 feet from the beach, Dimitra Apartments offer a pool with sun terrace. They feature air-conditioned apartments with panoramic views of Mirabello Bay. Facilities include a pool bar and free WiFi in public areas. Traditional Cretan paintings, maps and pottery are dotted around the walls to add a touch of authenticity to your stay. All spacious apartments open to a balcony and have a TV and a kitchen with dining table and oven with hobs. Some units come with additional views of the pool. Light meals and refreshing beverages are prepared at the property's snack bar. Breakfast is served daily by the pool. Havania Beach is 1,650 feet away. The street leading to the town, which is only 1.2 mi away, has tavernas and bars. Local busses and taxis run to the resort center, where you’ll find plenty of action at more restaurants and bars lining the harbor front. 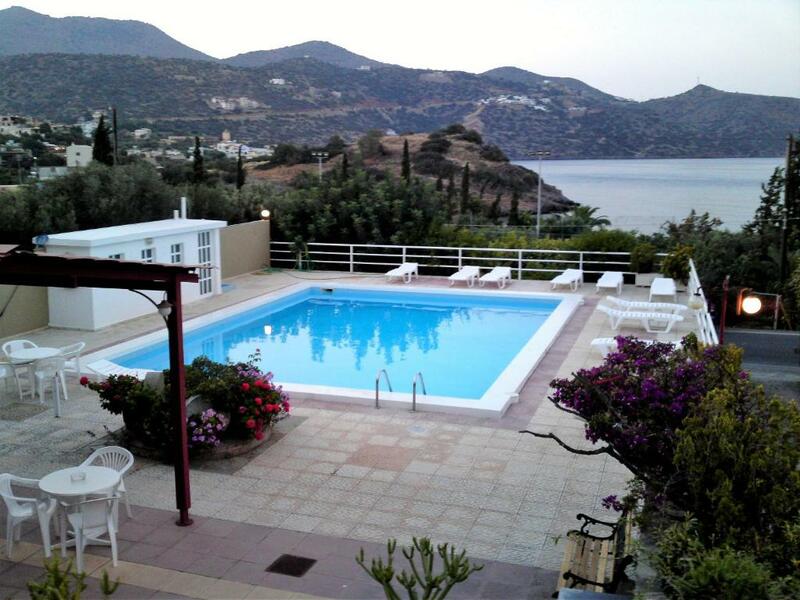 Opening to a balcony with Mirabello Bay, pool and garden views, this apartment is spacious. It has a TV and a kitchen with dining table and oven with hobs. Some units come with free WiFi. Please note that this room type may be located either at the ground floor or an upper floor, upon request and availability. 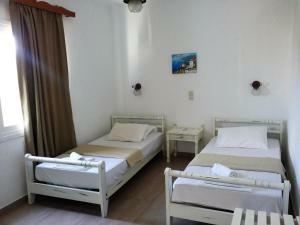 Please note that room type has only one air-conditioning unit, located in the main bedroom. Opening to a balcony with Mirabello Bay, pool and garden views, this air-conditioned apartment is spacious. It has a TV and a kitchen with dining table and oven with hobs. Some units come with free WiFi. Please note that baby cots are available on request. Kindly note that the swimming pool will be available from June to September. There are absolutely no double beds in the whole hotel, which is something they could invest in thinking that the price of the room is well above the average of Crete. Very nice view to the sea. 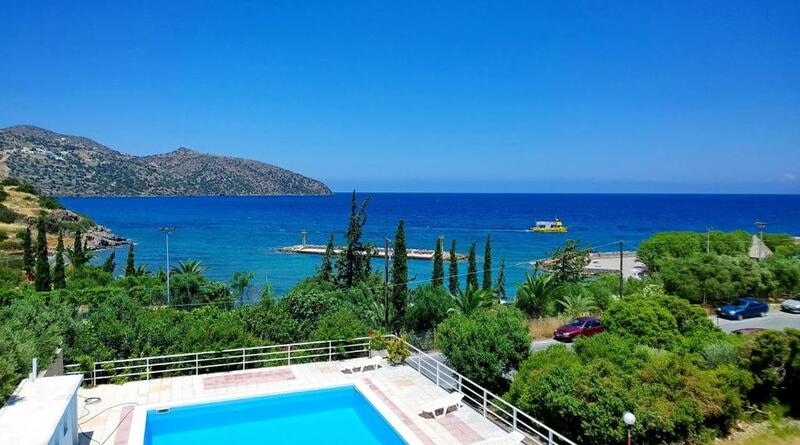 With car you can get around to Elounda and Agios Nikolaos easily. Very nice people, helpful and welcoming. Very clean large rooms too. Nice pool with view at the sea, if you have kids they will sure enjoy it. Nothing really to not like. If giving some feedback it could be to have a pool table in the bar area (a personal choice), leaflets in the rooms or sent via email when booking (Would have saved on car hire if had known about local rental service before booking online). Maybe a small comfy sofa in the kitchen area of the rooms; and finally a cleaning schedule as the cleaner had one day off when we were there (and we had stupidly left towels on the floor to change on that day). I have been told ceiling fans are to be installed in the second bedroom which has no AC. this will be a good improvement. Car recomended as on the perimiter of the town. Pool ok for short periods and would have been used more if proper umbarellas were there to provide shade for the sun beds. Felt like we were imposing on the property owners. Badgered to turn off lights. Air con switched off by cleaner. Every time you moved around the grounds you were watched by the owners and did not feel friendly. Have stayed in more properties than I can remember in Greece and never felt this way at any of them. I dare say others will say they were best thing since sliced bread but speaking as I found. Quite basic but was clean. Very friendly host. Good location next to a lovely beach. I stayed 1 night with my dog and 2 friends in this very nice and functional apartment. We loved the pool with sea view, the kindness of the hosts and talking to Katerina who helps to rescue animals. We totally recommend this place! Steep hill from road to rooms gets steeper every year!!! Lots of road noise from tour buses and traffic. Difficult parking off road amongst bushes. Access difficult. Amazing welcome from the family. Personally shown the appartment. Glorious views of Mirabello bay . Lovely swimming pool maintained. Well by Papa. Good kitchen equipment and high quality towels etc. Lots of space on balconies with good views.